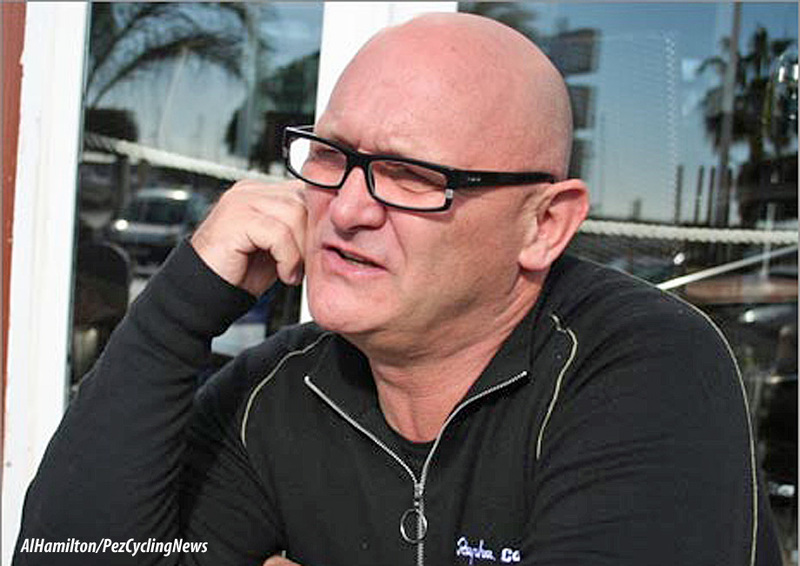 PezCycling News - What's Cool In Road Cycling : John Herety: Last Flight Of The Condor! John Herety: Last Flight Of The Condor! Interview: Much like in the US, the British domestic pro scene is going through a tough time at the moment; teams losing sponsors and races disappearing from the calendar. 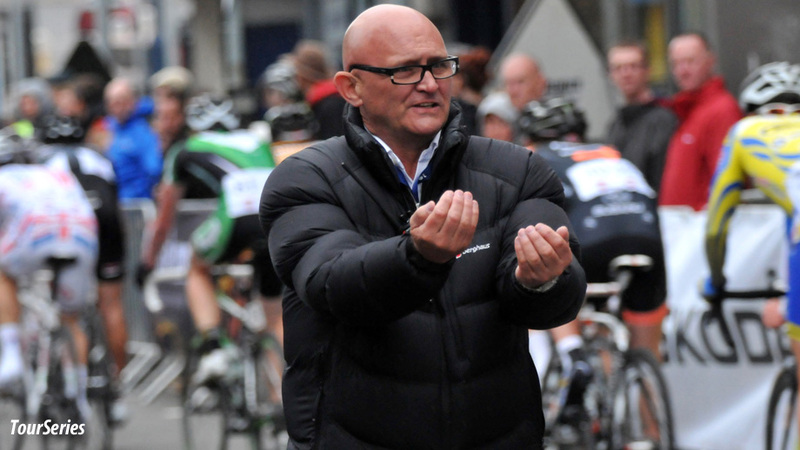 One of Britain's most experienced and long running team managers, John Herety, is now without a team for 2019 - Ed Hood gets the full story. Something will be missing from the UK race scene when the first flag of season 2019 drops. For the first time in a decade the name ‘Condor’ won’t appear on a team jersey. To use that over-used but in this case appropriate word, Condor cycles are a ‘legend’ in British cycling circles, ridden by some of the most famous names in British and Commonwealth Cycling; World Professional Pursuit Champion, Hugh Porter was a ‘Condor Man,’ back in the 60’s as was six day great, Graeme Gilmore and perennial Welsh time trial star and former British 25 mile time trial Champion, John Pritchard rode a Condor throughout his long career. 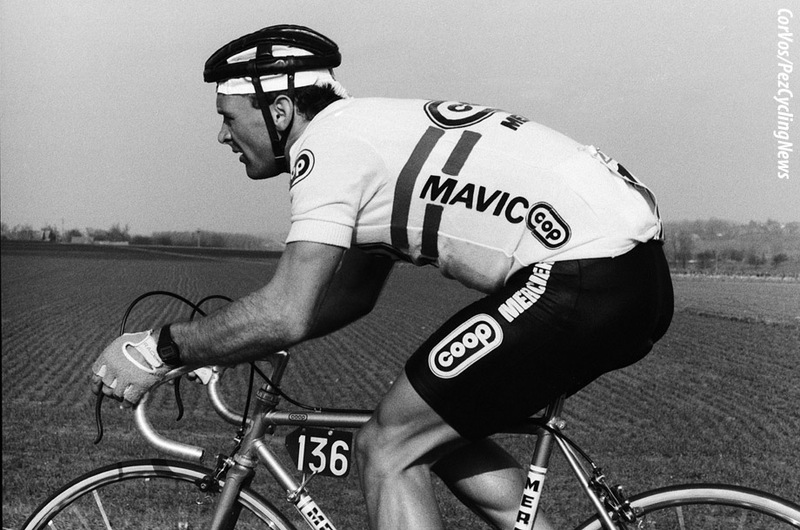 Your scribe owned a low profile 753 Condor TT bike back in the 80’s – the finest machine I ever rode. We felt we couldn’t let the team’s demise pass without some sort of tribute to the squad which didn’t always have the biggest budget but which always ‘honoured the race’. We contacted the man behind the squad for the last 11 seasons; former Peace Race stage winner and British Professional Champion, John Herety. Herety was a big winner on the UK amateur stage before enjoying success on the continent, as well as his Peace Race stage success his big finish saw him winning the French amateur classic, Paris-Rouen and races like the GP de Peymenaide, GP de Sanary and GP de St Maxime which lead to his signing for French Division One team, Co-op Mercier. 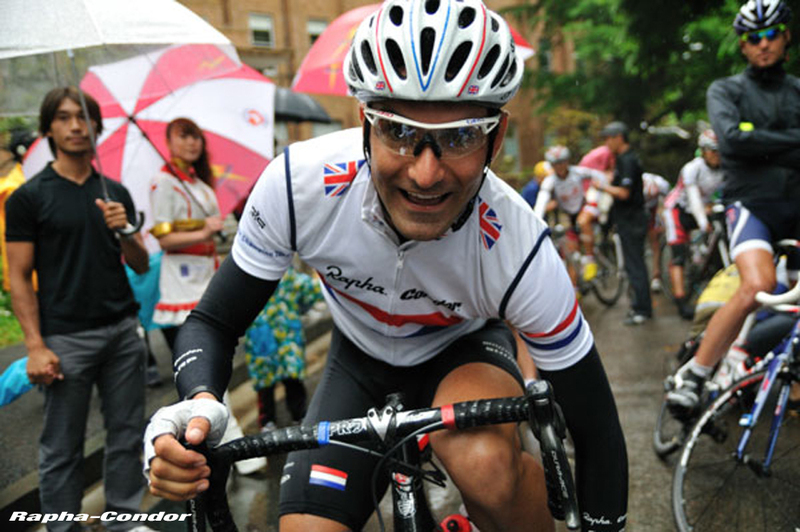 He was with them for three seasons, winning the British Professional Road Race Championship and the GP Pino Cerami. 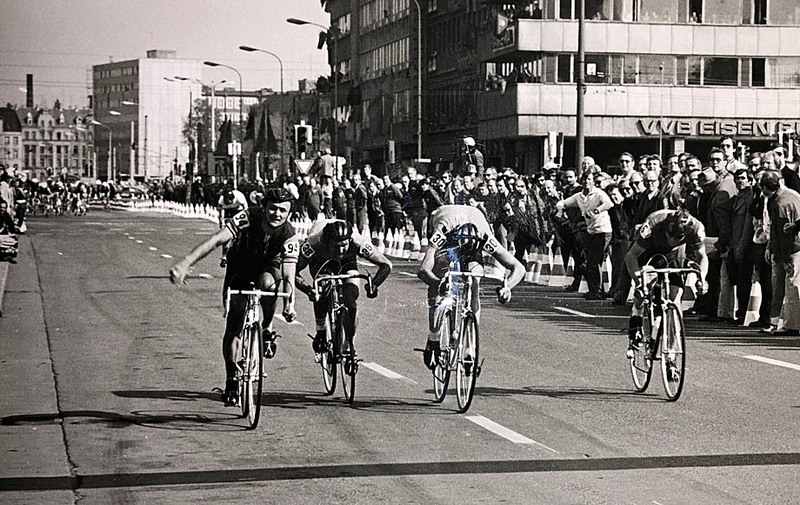 Although the latter went to local man and Het Volk winner, Ronny Van Holen despite the photo finish picture showing Herety’s wheel first across the line. The record books show Herety’s name in second spot. After his continental adventures he returned to the UK to race professionally for Ever Ready and Percy Bilton. It’s with the Bilton team that his association with Condor begins, they were co-sponsors of the team at one stage. Here’s what the man had to say to PEZ, recently. PEZ: Are you a man for team stats, John? John Herety: No! I always looked forward, not back. PEZ: How did you get the job to start with? It all started when I left the British Cycling, World Class Performance Plan and went to work with Charlie Jackson at the Recycling team where I spent a year. I got a break that year; the Tour prologue was in London, I was there and met up with Dominique Gabellini the man behind the Rapha Cycling Club who told me that the company had team ambitions. We got together with Grant Young – who is the son of Condor’s founding father back in 1948, Monty Young - and Simon Mottram of Rapha and that’s how the collaboration with Recycling came about with the team as Rapha-Condor-Recycling.co.uk for several years. After Recycling we had Sharp as co-sponsor until they went with the Garmin team. Then JLT got involved, they’re an insurance broker, one of the largest around, they liked what we did and increased the sponsorship over the years. We also had Costa Express and Mavic on board for spells. Unfortunately JLT have been bought over by one of their bigger competitors – Marsh - and have pulled out. PEZ: Can you remember your first race in charge? Probably something domestic like the Eddie Soens Handicap around the Aintree circuit. We never tried to be something we’re not – our race programme reflected our budget. Training camps are great but they don’t get you any publicity – we only started going to Australia in the winter once we had the budget. We always did well in the Bay Crits in January over there and that attracted good publicity for us. 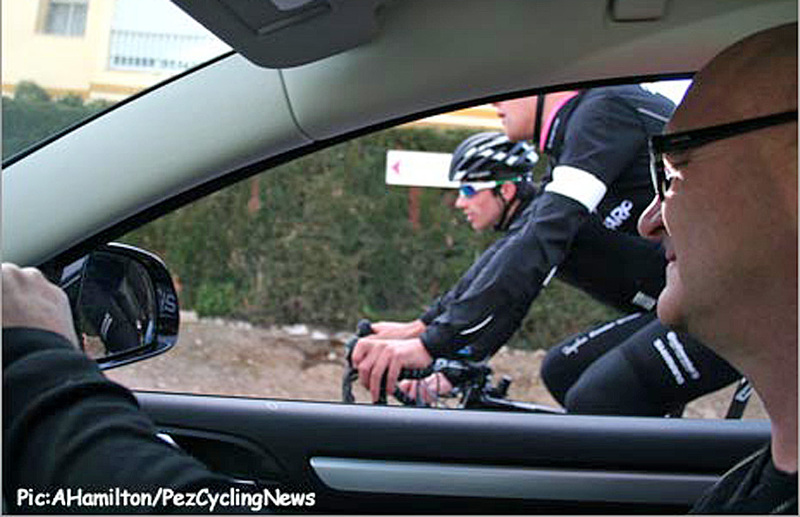 PEZ: You always had a very good programme – but it’s not easy to get into the big continental races, is it? 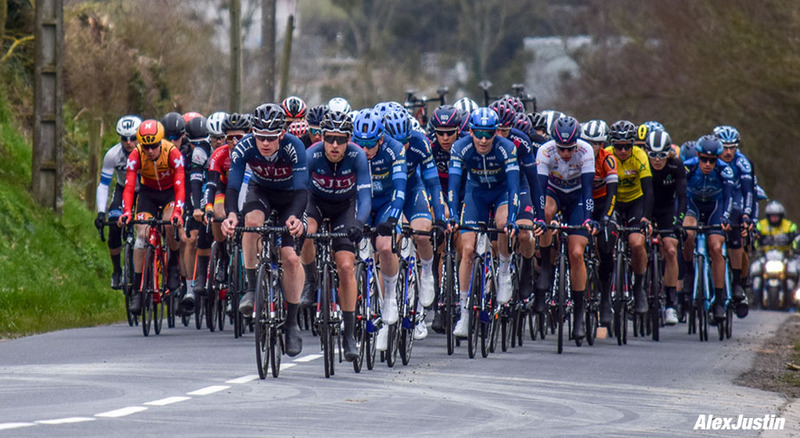 Take the Tour of Normandie, you have maybe 80 or 90 teams trying to get in to it. 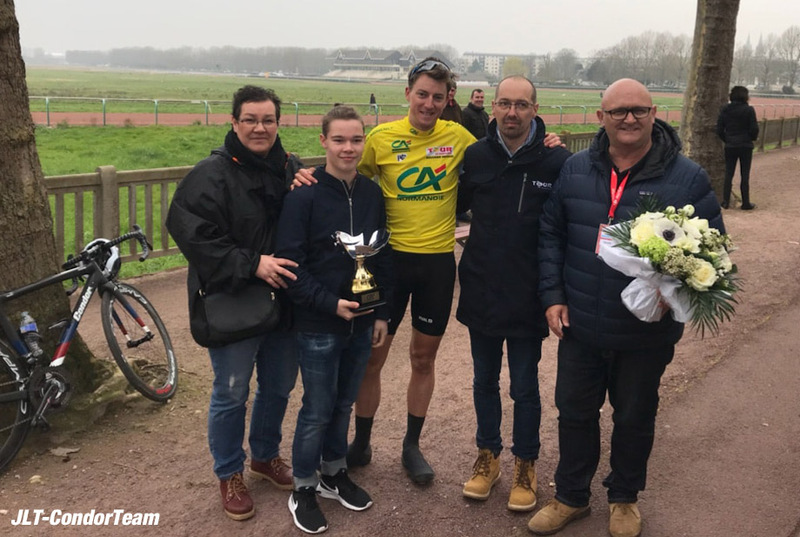 I’ve had guys telling me in November that their team is definitely in the Tour of Normandie come the spring – the team selections aren’t made until January 30th so there’s no way you can make that claim in November. 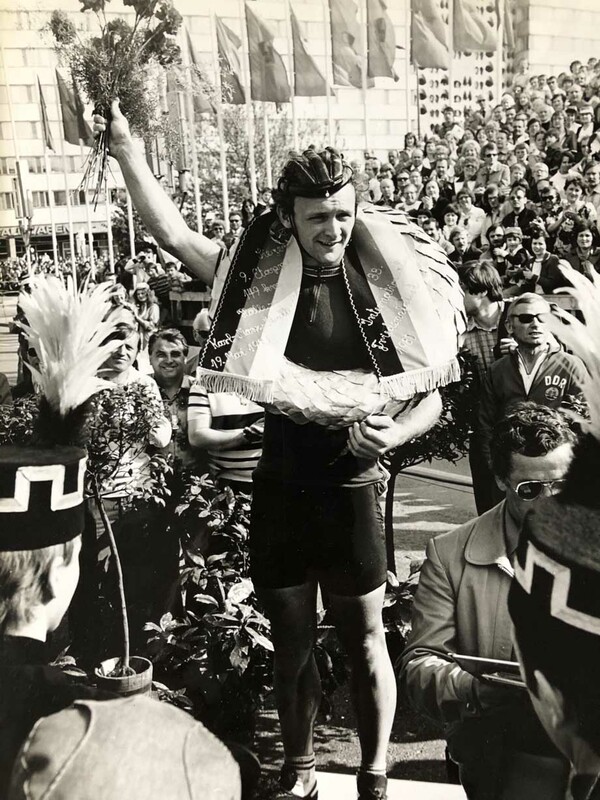 My years racing in France helped, and I took national teams into Europe in the 70’s and 80’s - I made a lot of connections. And Condor always turned up looking the part. We enjoyed racing in the Far East too, Korea and Japan especially where Rapha has a big presence and following - and where the Condor brand is very popular. PEZ: At what stage of the season do you start looking for sponsors for a team? You never stop looking, you’re always making contacts, but maybe this year we took our foot off the gas a little because we felt JLT was solid – but then of course they were bought over by Marsh. Originally we thought they’d be continuing with us but there were redundancies so they couldn’t really continue sponsoring a cycling team. PEZ: When did you realise the game was up? 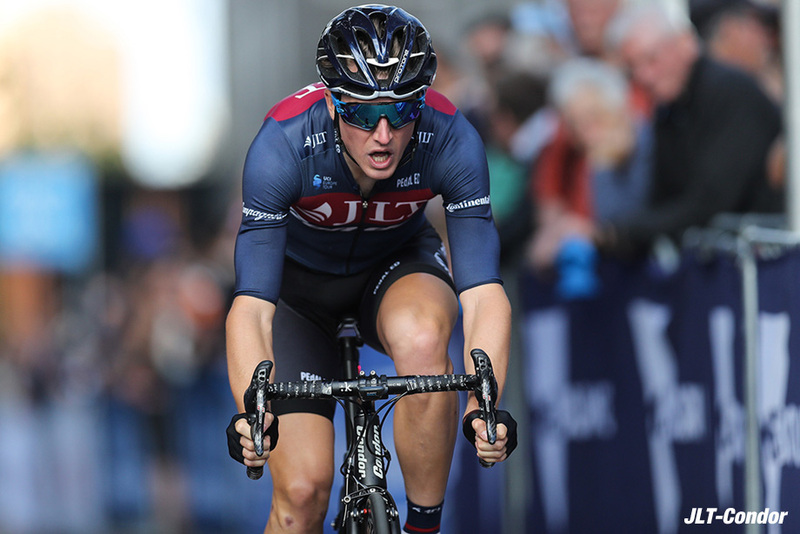 It all happened very quickly, we only found out the week before the Tour of Britain; we had the paper work on the go for registration as a UCi continental team for 2019. I set the end of September as the cut off but nothing was forthcoming. PEZ: Did all the lads get places on other teams? Right now only Ed Bradbury and James Gullen are the only two without deals, but both are in talks with teams whilst Germain Burton has decided to concentrate on his coaching business. PEZ: Why the down turn in UK domestic racing? But has there been? It’s never been brilliant, you can’t compare the UK scene to Belgium, France, Italy or the Netherlands. That said, we’ve lost races, which is never a good thing. There’s money for big races with international events like the Tour of Yorkshire and Tour of Britain but not for domestic races despite the fact that British riders won all three Grand Tours. The British race scene relies heavily on volunteers and there are ever more restrictions with health and safety regulations getting tighter all the time – and of course the cost of policing races is prohibitive. PEZ: What have been your biggest disappointments over the years? Very few until now with the end coming so quickly – but maybe it’s better that way and not prolonging the agony? One thing which did affect me badly was the death of Australian professional Jason Lowndes, he had signed for us for this year but was run down and killed before he could join the team – that was a very low point. That’s a difficult one, like naming your favourite child but Kristian House winning the national road race in front of WorldTour guys was special; Hugh Carthy winning the Tour of Korea; seeing our lads moving up to pro continental level; being part of Ed Clancy’s Olympic success in the team pursuit. I think we left a legacy, set a standard of presentation and infrastructure five or six years ago that the other teams felt they had to match. PEZ: What next for John Herety? I hope to stay in the sport, I’m not sure in what shape or form, I’d be happy for that to be at club level – as long as I have enough money to get by. I want to stay involved, that’s for certain.